Yesterday we read about renewing our baptismal vow and today's reading was about offering ourselves to Mary. Why should we offer ourselves to her? For me, I feel comfortable knowing she was fully human, living and toiling on this world. She understands us and has compassion for us because she is one of us. The fact that she never sinned doesn't make her any less approachable because she is our mother, and mothers always want what it best for us. Mary, like all mothers, can see more than we can and only want what is best for us. Just like I relied on my mother for protection and guidance while I was a child, Mary offers us the same. She will guide us to Jesus in the best way for each of us, even if we can't see it. 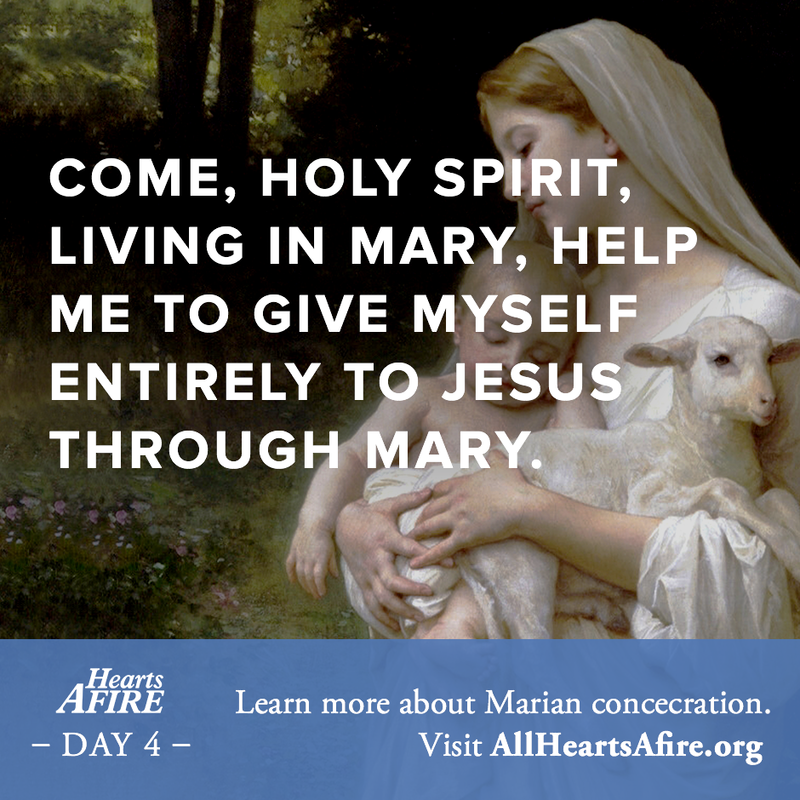 When we give all our merits to Mary, we are trusting her to use them in the best way possible. It means we will never "forget" someone. It means the one who needs it the most will get our prayers. It means we are free to let go of anxieties and worries because Mary has our back.